Here's the Tree Brush Pocket Guide Story I promised. 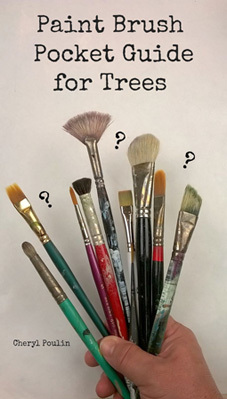 It's the reason I created the Pocket Guide For Brushes to Paint Trees. Yes, it was Embarrassment! I almost ended my painting career before it even got started. I don't want that to happen to you. 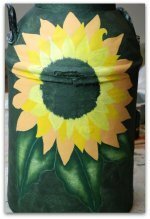 Long before I took my first decorative painting lesson, I used to dabble on my own. My crafty pieces were carefully painted. I loved painting the fine details but struggled with cheap, poor quality brushes. Now, keep in mind, this was long before the Internet could be used to learn about stuff like this. It became very frustrating. I couldn’t take it any more. So one day I ventured into a tole and decorative painting store. I suspected they sold fine quality brushes and supplies. I was right... they did. But I didn't know what brushes I needed. And I certainly didn’t know their names or how they were used. "A detail brush?" she asked in a surprised tone. "What do you need that for?" she pressed. I could feel my color rising as I really didn't know what to say. I think I stammered something like, "I need a brush for painting eyelashes on a ceramic gnome." You see I was into painting ceramics at the time. She showed me a few fine brushes. I recall she referred to them as Liner Brushes. It was the first time I had heard that term. Not knowing what I was doing, I bought 3 different sizes in three different lengths. Truth is, I was trying to save face as well. Whatever the reason, I ended up buying more than I actually needed. I ended up buying more than I actually needed. Of course over the years since then I've worn them out. But at the time, I spent more than I needed to. Even worse was the embarrassment I experienced from not knowing what I was doing. Embarrassment actually kept me from going back to that shop again for quite some time. It almost stopped me dead in my tracks. Imagine that! Of course over time I studied, became accomplished and even taught at that shop for many years. Anyway, the sense of shame I experienced made me quite empathetic to my students. I know, for some, it can be difficult starting out. I am very sensitive to that when teaching anything new in my studio. Not only beginners… some experienced painters too. And I wondered just how many people abandon their dream of learning to paint because they don’t have a clue where to start. That would be so sad. Who do you ask? What do you ask? Who can you trust? And so, the Pocket Reference Guide was born. It’s a simple guide that packs a big wallop. 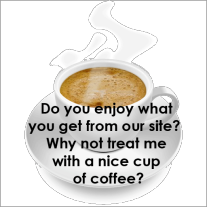 And best of all… it’s not only free, it frees you to move forward as well! So now you know. That's my story and I'm sticking to it. 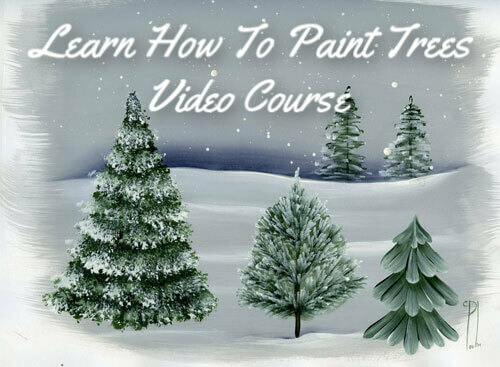 Let's go, get your guide and learn how to paint trees. Download this short but powerful Guide and take it shopping with you. It's like shopping with a trusted friend. 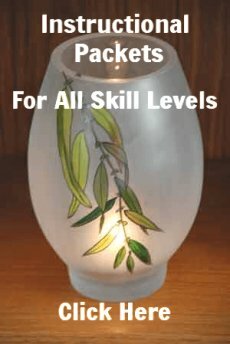 This is a FREE service from Your-Decorative-Painting-Resource.com. 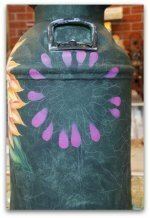 Enjoy being a part of our community of painters. Concerned about sharing your email address with me?